Burn is a very heartbreaking and discomfort injury. Every day, we hear much news of burns. Among it millions of them are kitchen produces, and other such as cloth iron, the silencer of cars or bike, hair curler, household chemicals. Since burns are inevitable, it can only make sense to be well prepared for it. Burns can classifieds into three steps. First-degree burns:In this the upper layers of the skin, becomes red, slightly painful,sore and tender to the touch,you may also have some swelling These are the lightest and softest of the burns. You may experience skin injuries on outer side.Eg,sunburn,light steam burns. Second-degree burns:In this cause serious injury may cause not only to the outer layer of skin, but also muscular substance, tissue. In this person may experience bubbles and sometimes even leaking, severe pain, swelling, redness.eg.contact with hot metal like iron furnace, hot liquids, steam the most serious burns. Third degree burns :This is known as the mostserious of them all.The outer skin and deeper tissues are severely damaged. The skin may be black,charred,brown in color,and possibly slightly yellowish or white.It is Serious and have permanent injury and swelling.generally there is little pain is involved in three degree burn because mostof the nerves and the brain is burned unable to feel pain.Eg,fire, electricity,chemicals,and contact with hot surfaces like boiling water or oil. Even the finest home remedy for burns cannot efficiently treat infected, chemical or third-degree burns. 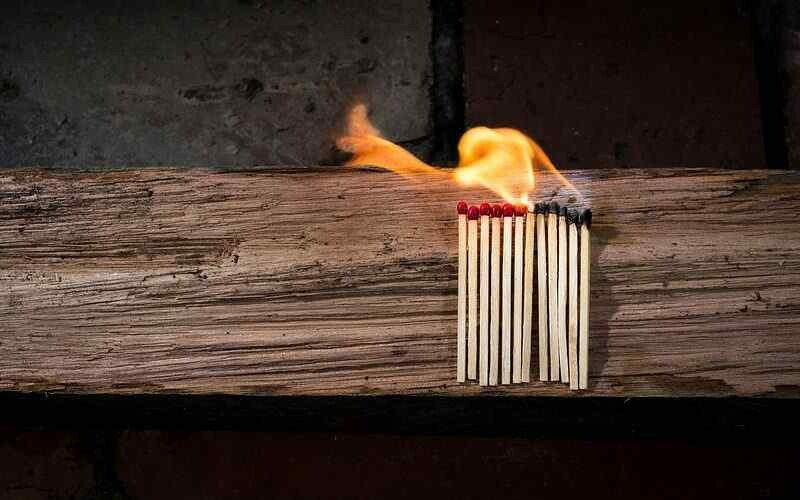 If you have got experienced any of these, you should look for medical attention.However, here is a list of home remedies treatments for minor household burns, that can help to relieve pain. The basic burn treatment work on a factor is used cold substances to get down the heat. Cool Water:Gently run a little cold water over the burned area. Cold water is more effective than ice on ice tends to restrict blood flow to the burned area causing tissue damage. The banana leaves: These leaves contain mild antimicrobial ,anti-inflammatory, and anti hemorrhagic properties. The maximum benefit of this plant, crush a little banana leaves and rub the juice on the burn. Aloe Vera:Many people get relief from sunburn by rubbing a fresh piece of aloe Vera plant in your burn. Aloe contains an enzyme that neutralizes the substances in the skin tissue that are responsible for pain and swelling. Once the burn begins to heal, can accelerate the healing process by breaking open a vitamin E capsule and rubbing your burn. Some people rub Preparation H hemorrhoid cream on the burn with the results of faster healing. Egg : Egg whites are no less than a miracle cure for burns. Coat or immerse the burned area in the egg white. As long as it is wet it does not feel the pain of the burn. When dry, the pain returned to reapply fresh egg whites. Onion juice: This first aid for burns is widely used by chefs and kitchen staff professional and many rely on it. We also use it all the time,at home and it seems to work, it probably also do some others in the inauguration of the burning time. Miel- Honey:Honey helps to heal and disinfect the burns. It also functions as a highly effective balm. Honey also draws fluid from the burned tissue, which helps clean the wound site effectively. Vinegar: The vinegar acts as an astringent and antiseptic for burns. Create a rinse solution by dilution with water. Oatmeal: As the burn heals, you can start getting a little itchy. A great way to relieve the itching is to soak the area in oatmeal, or better to take an oatmeal bath. Add one cup of uncooked oatmeal to warm bath water. Soak for 20 minutes and air dry season. Tea bags: The tannic acid in black tea attracts heat from the burn. Take 2-3 bags, soak in a bowl with water and a rag, apply the liquid on the burn. Fires in the home can be destructive. Even if there are no major injuries, Family members members may disturb loss. Fortunately, seizing a few simple safeguards, can do a lot to avoid fires and burns. Here are a few leading safety tips for every region of your home. Do not put hot food on the table with a tablecloth or rug if children can pull these off the table. Do not put any inflammable thing near the stove such as towels, aerosol container cans etc. Place the pots and pans on back burners and turn handles inward so they do not produce burn. Do not go away from the room while cooking on the stove. If you have to reach above the flame turn off the stove. Use only microwave-safe containers in the microwave. Keep lighters, matches out of reach of children. Keep children apart from the stove while cooking. Keep the kitchen stove and oven clean. Keep hot drinks away from children. Roll up their sleeves when cooking. Do not use electrical appliances such as hair dryers, shavers, curling irons, radios near a sink or tub of water. Test bath water before putting your child in the bathtub. Use your hand not wrist or elbow. Adjust the hot water heater to 120 degrees. Keep space heaters 3 feet away from flammable materials such as rugs, pillows and curtains. Refuel kerosene heaters outdoors only, only with kerosene, when the unit has cooled down. Hiring a professional to inspect and clean your chimney every year. Use a screen of fire proof glass or metal front of the fireplace. Keep a fire extinguisher in a convenient location. Do not leave the room with the heater on. Dispose of ashes in metal cans only if find worm pour water.